Pot size :10 litre . Acer griseum, or the 'Paperbark Maple' is a gorgeous, slow growing tree, with characteristic papery bark which peels away to reveal cinammon-coloured bark underneath. Three lobed, green leaves transition to a brilliant red in the autumn. 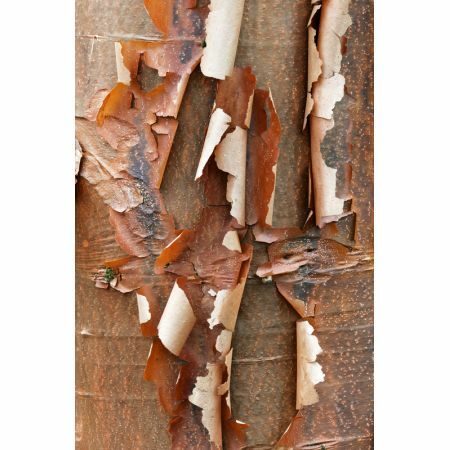 With an ultimate height of 10 metres, this small, spreading tree is a perfect addition to any small-to-medium sized garden. Prefers moist and well-drained soil, in full sunlight, but can tolerate a range of soil-types. Hardy up to -10. Ultimate Height : 10 metres. Write a review about "Acer griseum 10L pot"
We want to know your opinion! Write a review about the product “Acer griseum 10L pot” and win a National Gardening Gift Voucher of £25 ! Would you like to buy Acer griseum 10L pot? Visit Derwen Wholesale!